Life at Oxford or any other county of UK is very fast and thus getting Commercial Fleet (Car, Vans) Cleaning at right time is important for transportation business. Moreover, if the fleet of commercial vehicles is not clean enough then you cannot use them as its not hygienic and your guests will also not like hiring them. Thus, it’s necessary that you keep your vehicles clean. For Commercial Fleet (Car, Vans) Cleaning you have two options either clean it yourself or call professionals who will complete the work properly. Now, when you hire professionals for Commercial Fleet (Car, Vans) cleaning it is important to consider the following. Every business has its own priorities and fleet runs according to that. So, when you call someone for cleaning your vehicles, you need to make clear certain things to them. What will be the frequency of cleaning? Do you want them to clean after every week or month or after each consignment? 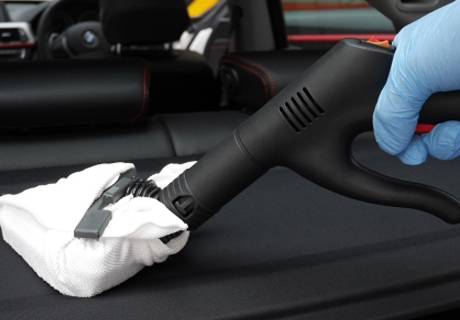 Do want total valeting every time or the required work as and when needed. Like after too much travel you prefer to get the tires cleaned and wash the body. Generally the cleaning services provided by most of the professional cleaners like HD Clean UK include dusting, polishing, waxing, cleaning wheels, and tires. The level of cleaning may vary as per your instruction. If you want cleaning services above all these then you must ask them about that. Do not expect that they will understand your requirement. Rather be clear to them about your expectations to get better results. You may look at the website of the cleaning company to know the services offered by them, even if it’s only for the exterior, interior or carpet cleaning. While you are hiring a Commercial Fleet (Car, Vans) Cleaning service make sure that you are ready to pay for the services provided for them. Someone will be working at your place and in return you will be charged. So, before you finalize about the contact with the company discuss in details the various charges and find if that fits your budget. It should not be like you get your services one month and the find it costly. Keeping your vehicles at top condition is very important for providing better services to your clients. Every Commercial Fleet (Car, Vans) Cleaning company wants to make sure that they provide proper service to their clients. However, if for any reason there is any problem then you must be able to reach them. They must provide you with their helpline number. You should also note down that there are certain limitations in cleaning and one has to admit it while taking services. Be clear while discussing the terms so that you do not face problem and they too are able to provide you with best services.